korean global brand Hyundai motors. 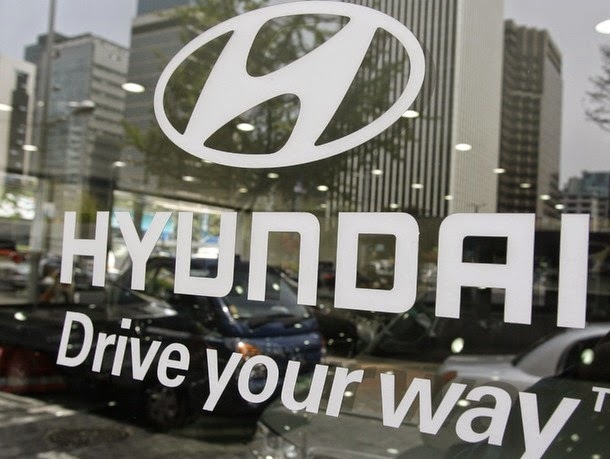 The nation’s leading automakers Hyundai Motor and Kia Motors have been in the headlines recently for all the wrong reasons, including a $100 million civil penalty they had to pay to the United States for inflating fuel-efficiency ratings on their cars. But one piece of news out of the companies is purely positive: October sales in China were at their highest for this year. Hyundai Motor said yesterday it sold a total of 92,455 cars in October in China, a 15.5 percent rise from a year ago, while its affiliate Kia Motors sold a total of 57,037 units, a 25.3 percent rise. Combining the performances, the sister companies sold a total of 149,492 cars and enjoyed 19.1 percent growth from a year earlier, a high for the year.